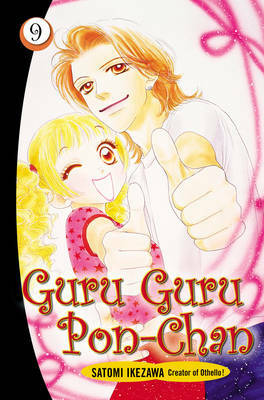 Ponta, the Labrador Retriever uses the fabled Guru Guru Bone to change into a human girl, winning the heart of Mirai Ikawa. But what happens if using the bone is killing Ponta? The transformation has taken its toll, and may be too much for Ponta's body to handle. Realising that his loved one may die, Mirai hides the bone, leaving Ponta in dog form and making it impossible for the two of them to be together. But can a love like theirs be stopped? The stunning conclusion to "Guru Guru Pon-Chan" is finally here! This is the final volume.